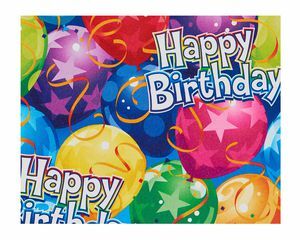 Share a bright and festive birthday gift presentation! 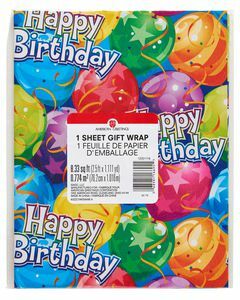 this sheet of gift wrap features a cheerful, colorful design with balloons, confetti and fun happy birthday lettering. 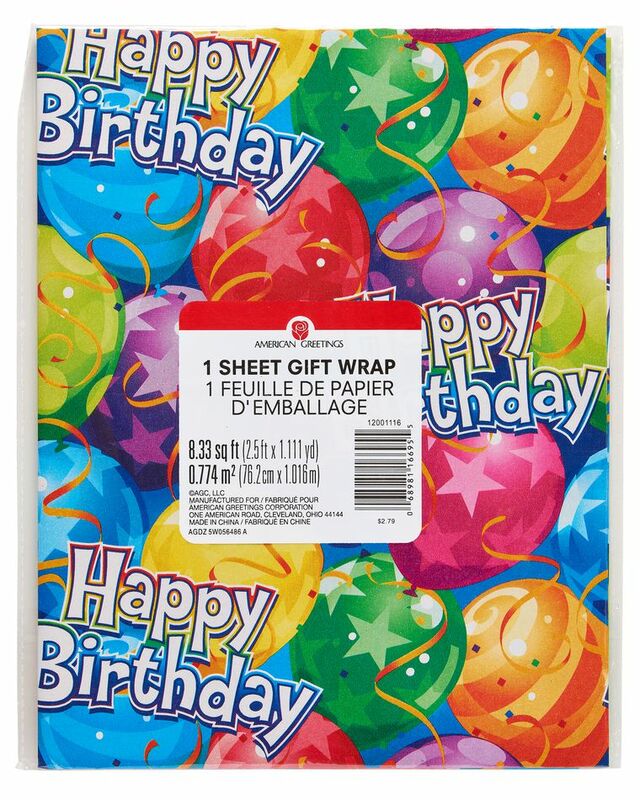 The package includes one sheet of wrapping paper than can wrap up to two shirt boxes. 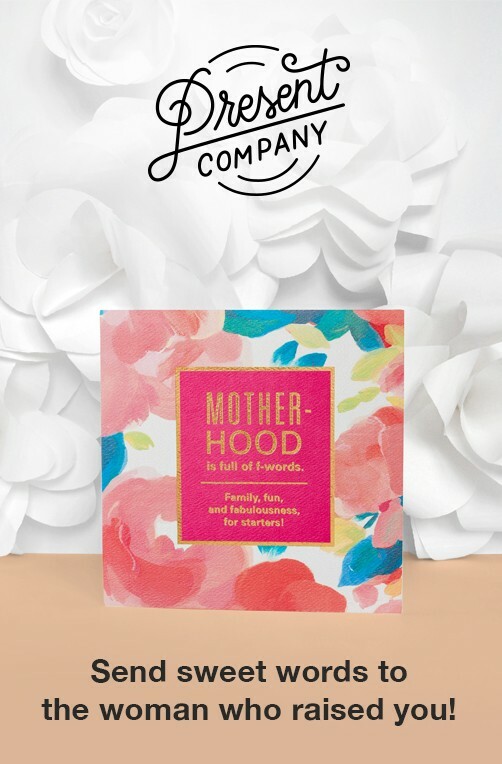 Use the wrapping paper on its own for a clean look or dress it up with a gift tag, tissue paper flowers, ribbons and bows (all sold separately). 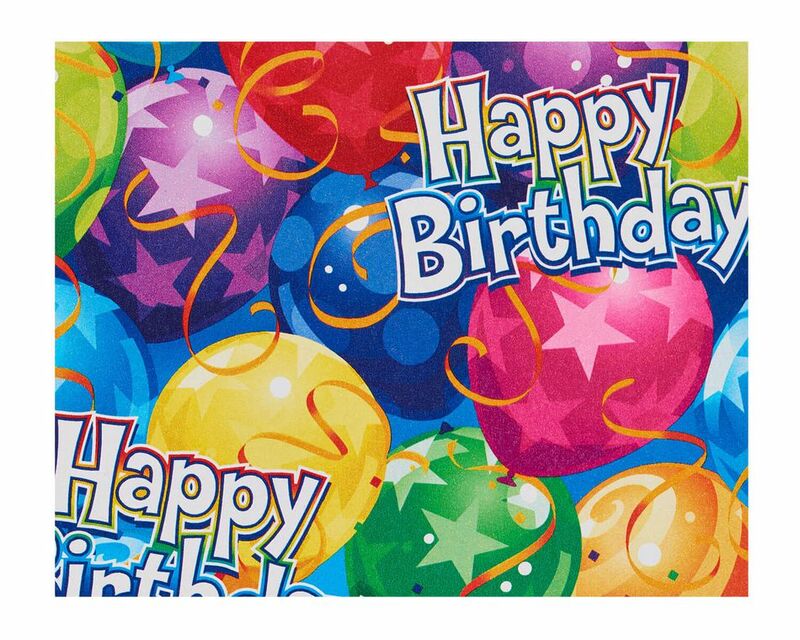 perfect for birthday celebrants of any age!